Your glass-fiber kayak is looking a little scratched and scuffed? If it's the hull the appearance is not so important, so long as the gel-coat is intact. After all, you bought the kayak to use it, right? 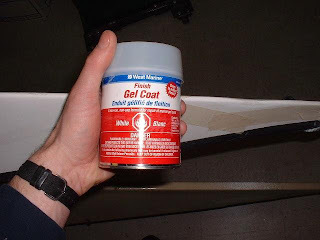 But if you've worn through the gel-coat then you need to repair it with a top-coat of gel-coat to seal the wear-point or the exposed glass fibres will begin to soak up water, deteriorate and also add weight to you kayak. The deck? Maybe you'd like to tidy away the scratch marks where you've scuffed it with your paddle, or the marks your spare paddle has made on the back deck. These you can tackle with a soft cloth and a rubbing compound or grinding paste from your local auto repair shop or glass-fibre dealer. 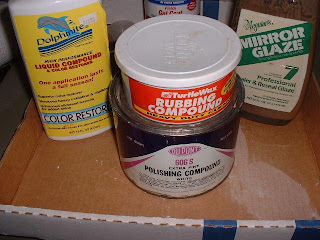 Used for bringing paint to a high gloss, this works great to buff the surface of your kayak to a glowing shine again. All you need is some elbow power and some patience. thanks for linking to my fiberglass repair series. However, I think you used the wrong link.